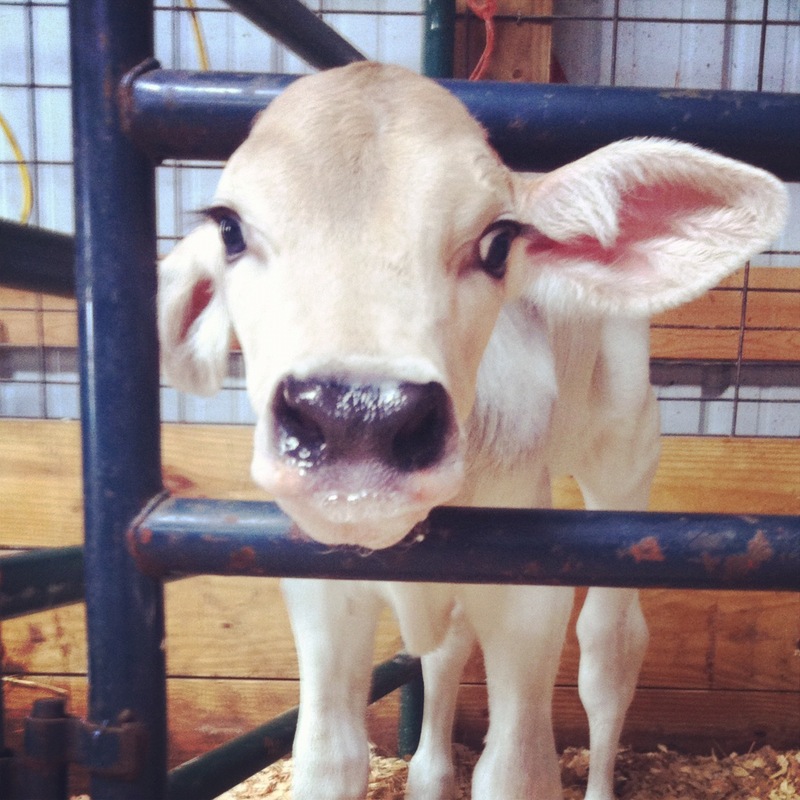 What a success our first “Caption This” Contest was that we held on our Alpine Hills Dairy Farm Facebook page! 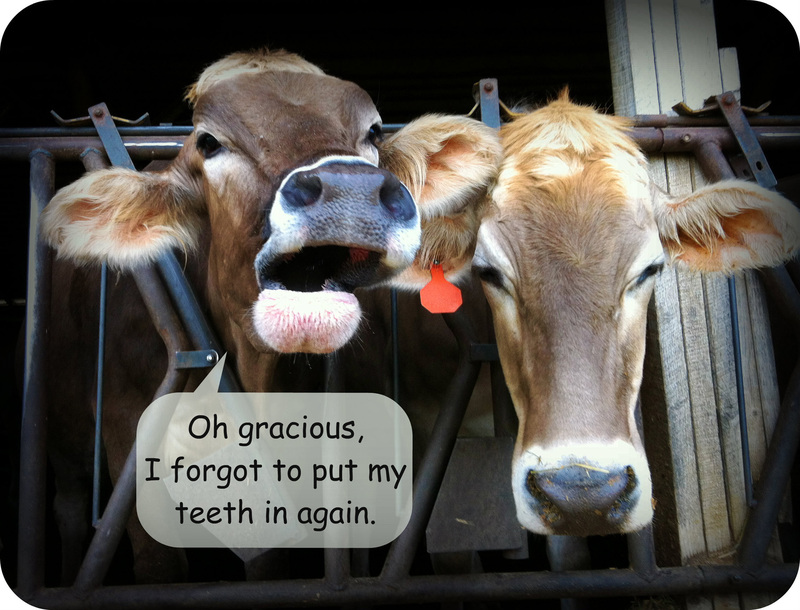 We had many hilarious captions submitted for this cow photo that I took last week. It certainly was one of those lucky moments when I snapped the photo at JUST the right time! To pin this photo to your own Pinterest account, click the photo above or click the “Pin It” button below. Dairy Farmers of America and SC Motion and Stills, LLC did a fantastic job producing this video about our farm and our story as part of the DFA 2012 Member of Distinction award. 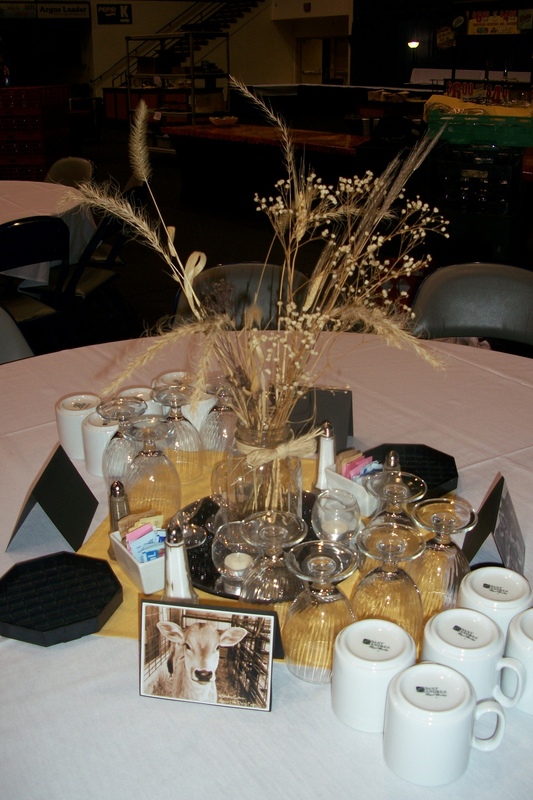 In just four days my husband and I head to Kansas City, MO for the Dairy Farmers of America Annual Meeting! We are excited to experience this event for the first time – and all expenses paid makes it even better! 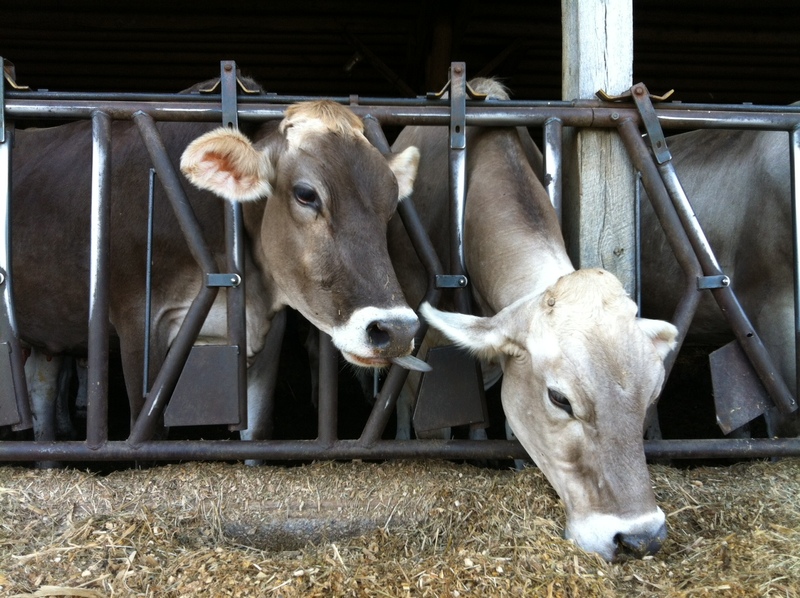 Last fall, we found out that our dairy farm, Alpine Hills Dairy Farm, was selected as a DFA Member of Distinction. It was hilarious at the time because we all had no clue what that meant or how we even won the award! We were and still are very honored to be chosen for this. As part of the experience, DFA flew out a writer, and a photographer and his assistant to our farm last October. The writer, a sweet lady named Kara, interviewed each one of us to gather material for the article that will be published in the DFA Leader magazine sometime this spring. The photographer, Shaun Cloud, and his assistant Johanna, spent the entire day (at least 8 hours) filming and taking photos of the farm. They did anything for a great shot: climbed fences, laid in the mud, and even got licked but a few of our friendly Brown Swiss cows! They even came back a second day and shot photos and videos of one of our Country Pumpkins Dairy Tours in action! We have not seen any of these photos or videos yet (5 months is a LONG wait!) but I hear they want to surprise us with them at the convention next week. On Tuesday night there will be a banquet where they will play each of the Member of Distinctions’ videos and display some photos. I am by no means a football expert……let’s be honest, when I watch a football game the only part I really pay attention to is maybe the last two minutes! In spite of that I do know enough to realize that the Superbowl is over, that Tim Tebow didn’t play in it, etc…..but at our farm it’s still Tebow Time! This handsome Brown Swiss bull was born to our cow Timeless (here’s a photo of her winning 1st Place 5 year old at the KY State Fair in 2011) a couple of weeks ago. His sire is the NGG bull, Brookings. While we wouldn’t have cried if he would have been born a girl (ha ha!) we are still excited to have such a handsome young bull with great genetics at our farm to raise up as our future herd bull. 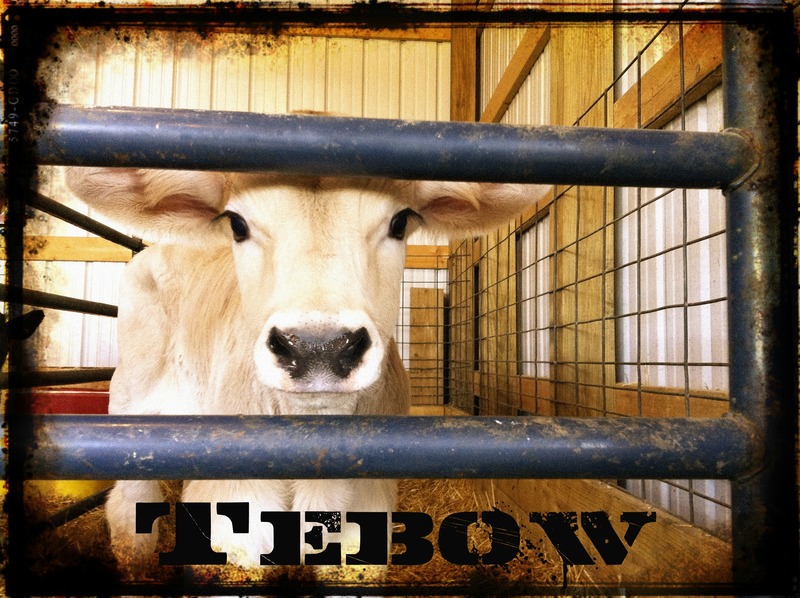 Keeping with the “T” theme of his mother’s name, we decided the that name Tebow would be quite perfect for him. We would be thrilled if he became even half as famous as his namesake one day. I mean, there are some similarities……big, strong, and STUBBORN……. It didn’t take long for Tebow to get the bottle-feeding thing down. Within a few days he was drinking like a champ without beating me up in the process. I love my job.